Linguapax was born from the will to contribute to the culture of peace through multilingual education based on tolerance and international understanding and advocating respect for linguistic diversity. Article 1.1 States shall protect the existence and the national or ethnic, cultural, religious and linguistic identity of minorities within their respective territories and shall encourage conditions for the promotion of that identity. Article 4.3 States should take appropriate measures so that, wherever possible, persons belonging to minorities may have adequate opportunities to learn their mother tongue or to have instruction in their mother tongue. 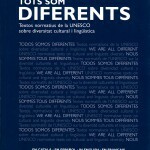 Article 7.3 The Parties undertake to promote, by appropriate measures, mutual understanding between all the linguistic groups of the country and in particular the inclusion of respect, understanding and tolerance in relation to regional or minority languages among the objectives of education and training provided within their countries and encouragement of the mass media to pursue the same objective. Tolerance is respect, acceptance and appreciation of the rich diversity of our world’s cultures, our forms of expression and ways of being human. It is fostered by knowledge, openness, communication, and freedom of thought, conscience and belief. Tolerance is harmony indifference. It is not only a moral duty, it is also a political and legal requirement. Tolerance, the virtue that makes peace possible, contributes to the replacement of the culture of war by a culture of peace. Article 7.1. 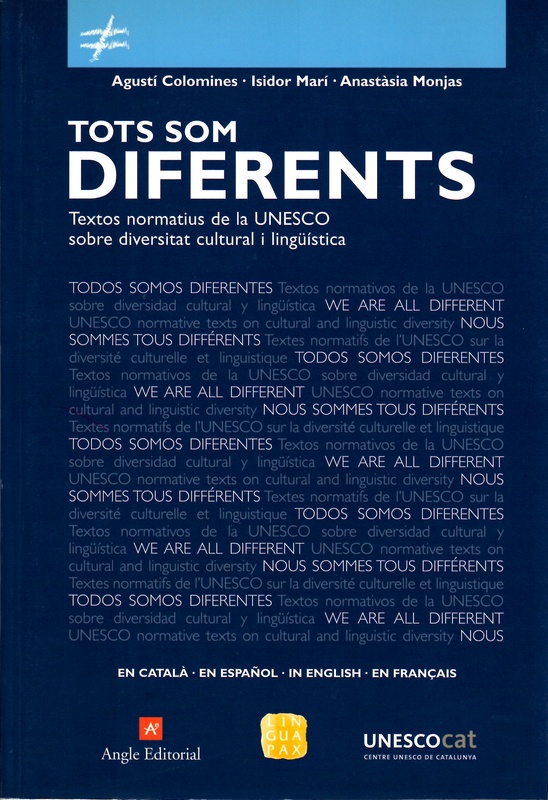 All languages are the expression of a collective identity and of a distinct way of perceiving and describing reality and must therefore be able to enjoy the conditions required for their development in all functions. Article 23.3 Education must always be at the service of linguistic and cultural diversity and of harmonious relations between different language communities throughout the world. Safeguarding the linguistic heritage of humanity and giving support to expression, creation and dissemination in the greatest possible number of languages. Linguistic diversity is a world heritage that must be valued and protected. Respect for all languages and cultures is fundamental to the process of constructing and maintaining dialogue and peace in the world.